We arrived into Singapore around 1am and so got to our chosen place to stay the Pod Hotel fairly late. They have a 24 hour reception however and so are used to having super late arrivals. The entrance from the street is just a door and when you enter this you head up to the 3rd floor in the lift. There you will find reception and a small area with tea and coffee and some seats (this is also where breakfast is served). We had booked a double pod, and so were taken up to our room. Shoes must be taken off and stored in lockers in the corridor, they are not permitted in the rooms. We were on the top bunk (which was incredibly difficult to navigate in the dark in the middle of the night and I'm pretty sure we woke up the whole dorm. That's the thing with the Pod Hotel - there is no privacy! You can hear every little noise, everyone leaving and entering the room is disruptive. 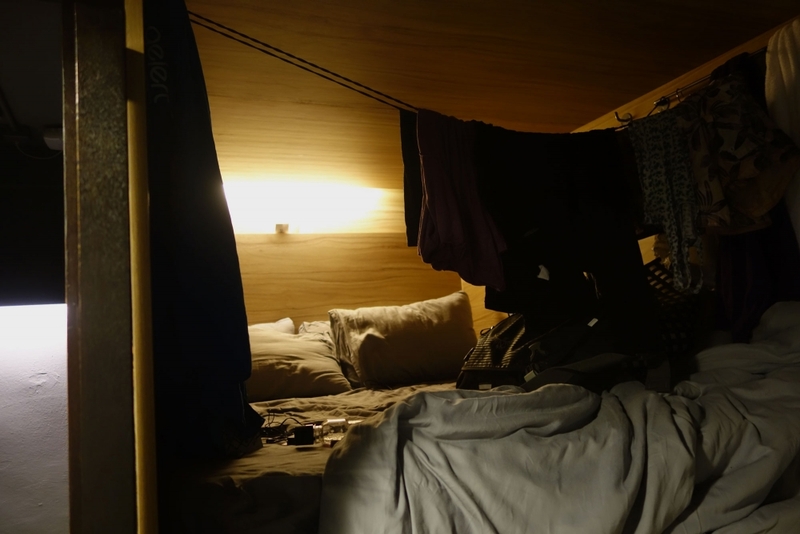 If you have been travelling in dorm rooms in hostels then you may be used to this and actually, the Pod Hotel has more privacy than your standard hostel dorm but as we have been travelling in double rooms, this was a bit of a shock. 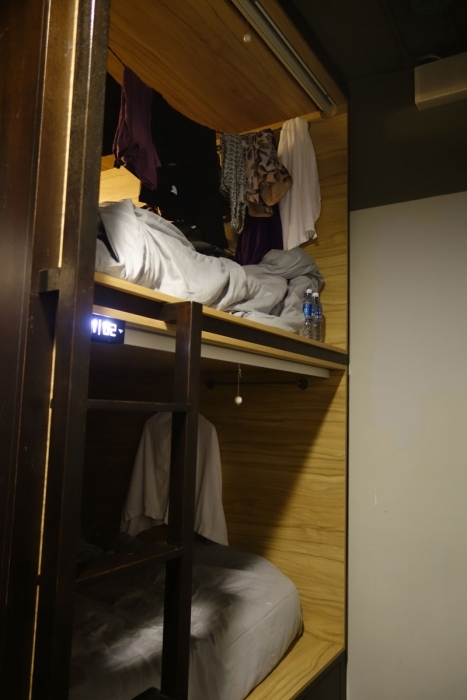 There is a fairly large locker under the bottom bunk which locks, a light in your pod with a plug and a shutter which you can pull down (but if the light is on in your pod then this becomes see-through. At the end of the corridor there are individual bathrooms and showers with a large sink and mirror area and hair dryers. They were pretty clean the whole time we were there and we didn't really have any issue with availability. 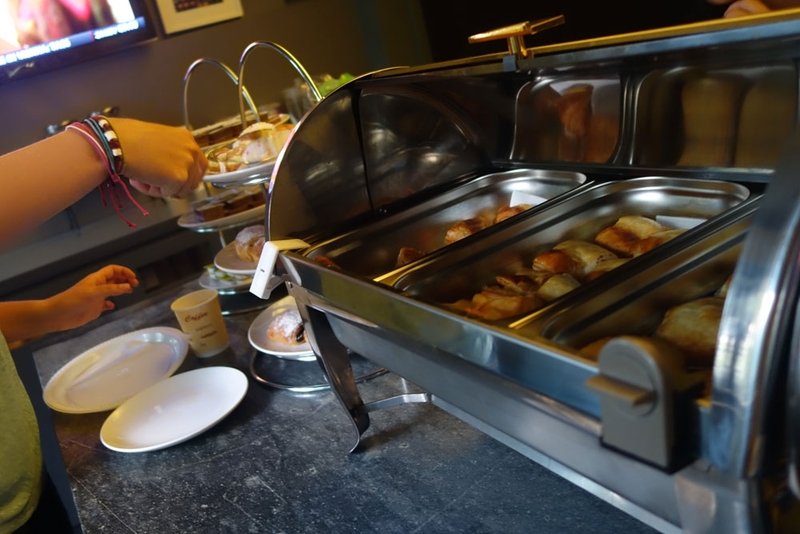 Pod Hotel offer a small selection of breakfast items, this includes dim sum and other Asian dishes, some pastries as well as toast and cereal. We found it very filling and were pleased with the selection available (they keep restocking the whole morning so there is always some available). There is pretty good wifi throughout the hotel which is a big bonus for us! You get a bottle of water each in the morning and everyone staying over a certain length of time (I can't remember how long) is entitled to a piece of clothing dry cleaned per night. Unfortunately we were only able to give items on one day due to our arrival and departure times and these were rejected by the cleaning company due to missing buttons and stains :(. Overall it was a reasonably comfy stay for a good price in Singapore (which was very expensive when we were trying to find a hotel). For solo travellers or those used to hostel dorms I would highly recommend it. If you are a couple or used to your own hotel room then perhaps shop around for something else. As always the opinions in this article are our own and we did not receive any discount or compensation from the Pod Hotel in return for this review.